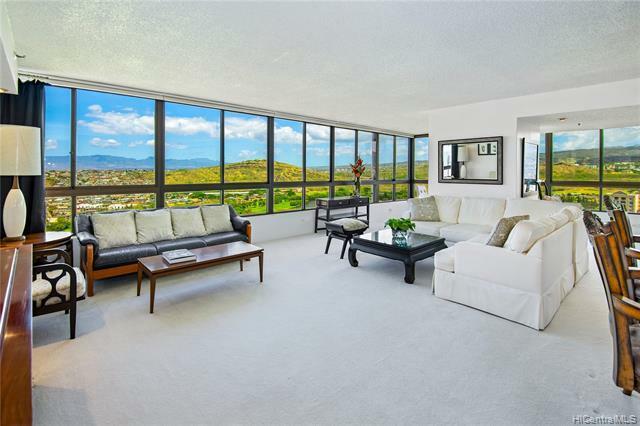 LARGEST PENTHOUSE in desirable Plaza Landmark - only one other penthouse like it in building. Rarely available, unique in Salt Lake. SPACIOUS, 1538 sf with 3 full bedrooms, 2 bath, 2 assigned garaged parking spaces right at bldg entrance. 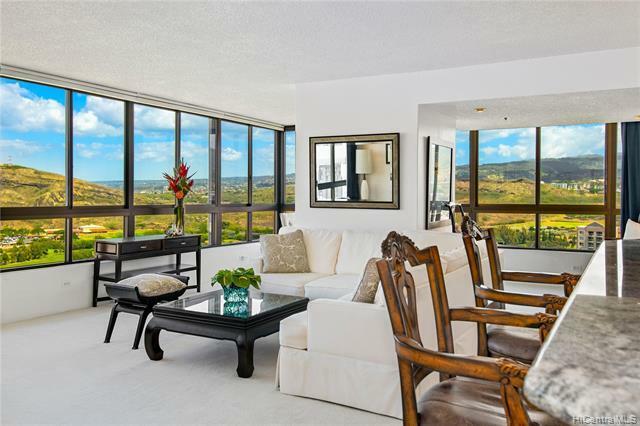 GORGEOUS PANORAMA from TOP FLOOR with WRAP-AROUND VIEWS of ocean, mountains, golf course. HIGHLY UPGRADED and remodeled. Sprinkler system. 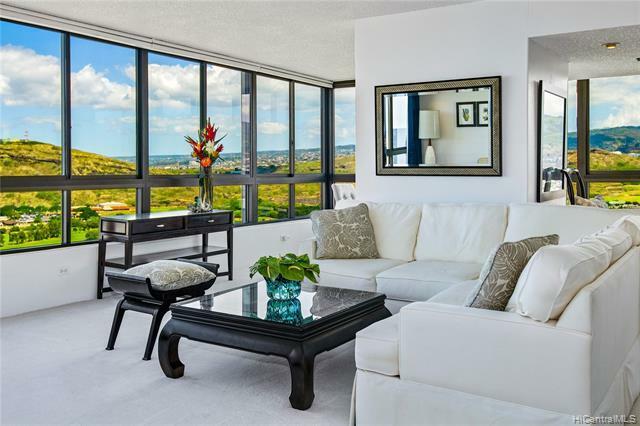 Gated and secure Plaza Landmark is renowned for lush, tropical grounds & well-maintained amenities: resident manager and security, sparkling pool, BBQ area, fitness center, saunas. Outstanding public school district of Moanalua. 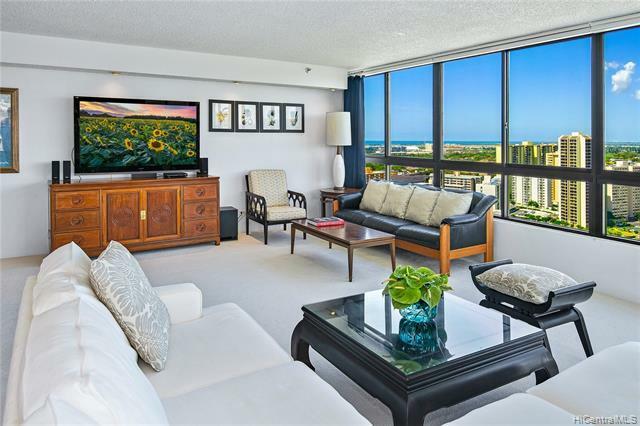 Convenient to everything; minutes to Honolulu International Airport, Pearl Harbor, Hickam, other bases, downtown Honolulu, all freeways. This is a TRUE OPPORTUNITY, please don't miss it. Listings provided courtesy of Merrie N. Higa.